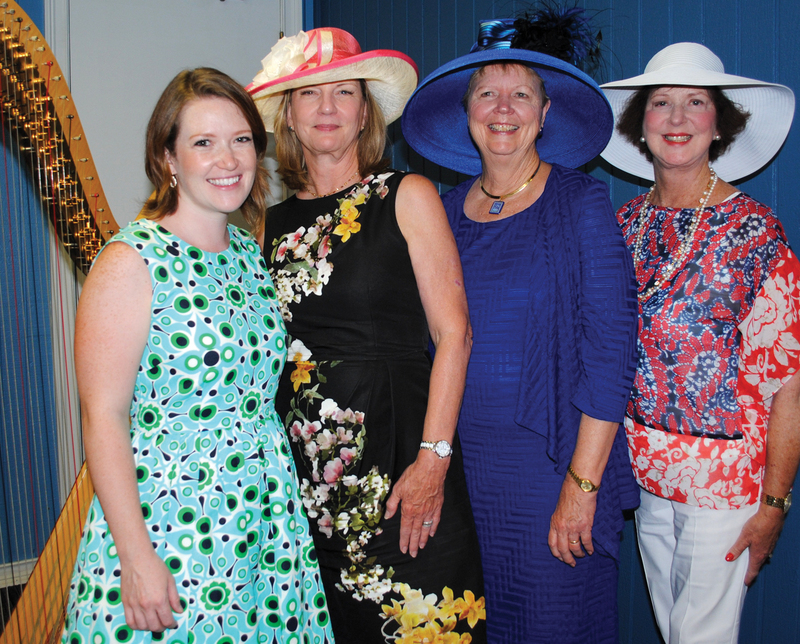 Lakewood Ladies Association members and guests enjoyed a British tradition as they gathered at the Yacht Club for Afternoon Tea. Among those enjoying the occasion were, from left, Era Lee Caldwell, Anita Fogtman, Mary Ellen Aldridge and Johnette Norman. 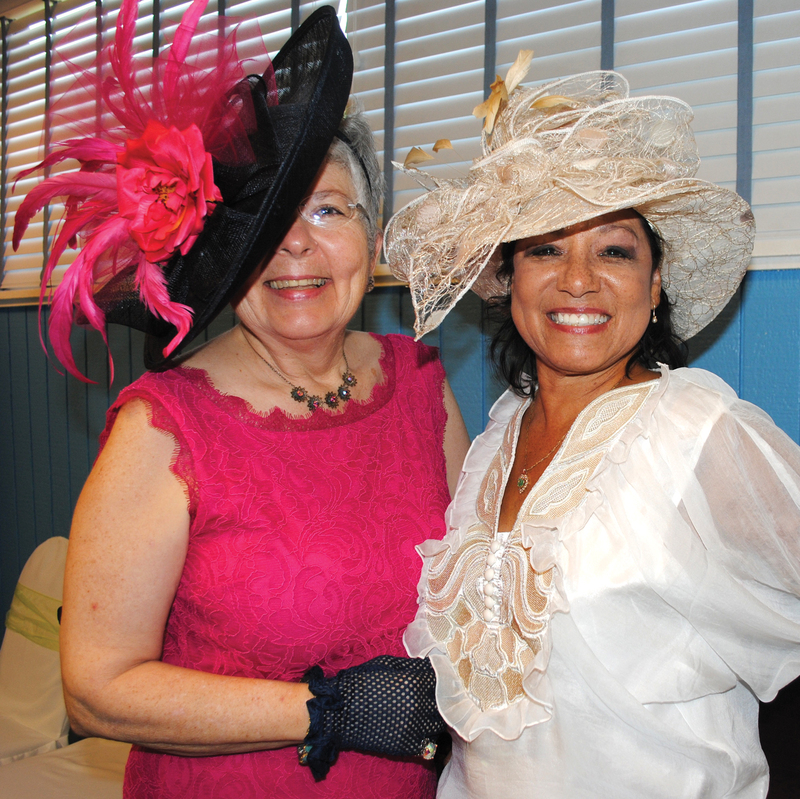 Fancy hats worn by Barbara “Babs” Bukowski, left, and Varchia Morgan caught everyone’s eye as they arrived at Lakewood for the Afternoon Tea. 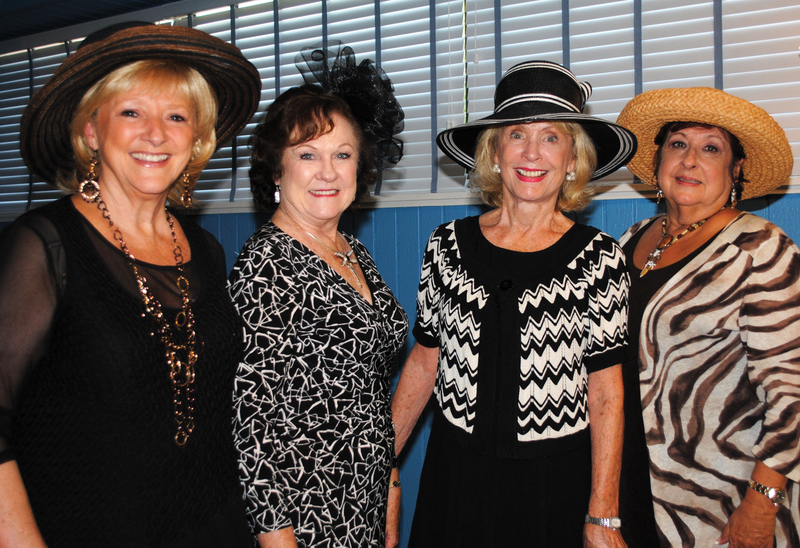 Lakewood Ladies Association members turned quite a few heads during the hot, hot days of late August when they arrived at the club all dressed up – even wearing hats. The special occasion – planned by Jan Smith — was an Afternoon Tea, which began with champagne and featured different teas, plus a variety of sweets, scones and dainty sandwiches. Veddy British. Harpist Meghan Caulkett, from left, receives kudos for entertaining the crowd at the Lakewood Ladies Association’s Afternoon Tea from Jane Downs, Peggy Hill and Fay Cutter. Even had a harpist, Meghan Caulkett, who earned her master’s at Rice University and played background music for the crowd. Besides really enjoying themselves, all left with a special memento of the occasion — beautiful tea cup and saucer – and memories of a special afternoon.